It’s officially Winter! Oh how time flies when you’re having fun planning all these wedding! Of course, a lot of brides and grooms choose to have spring and summer weddings – and there are a lot of reasons that might have made you consider a winter wedding as well. The weather, the flowers, the general energy, the abundance of fresh ingredients for foods and drinks – they’re all great advantages! 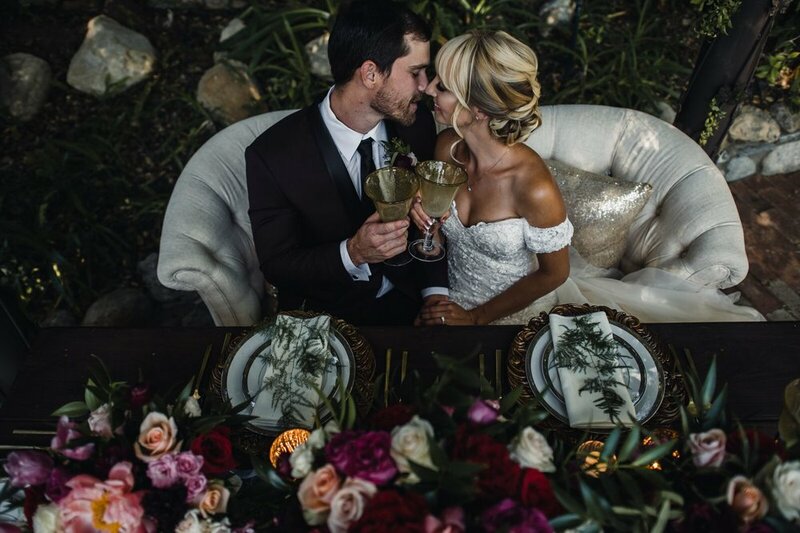 What are some of the most beautiful winter wedding trends? We have some tips for you – so read on and find out more. Moody colors. Most brides and grooms think of winter wedding colors in terms of white and blue or red and green shades. However, this year’s bringing forward a trend that will definitely steal your heart: moody colors. Dark and elegant, these colors will complement a winter wedding to absolute perfection. Deep reds, dark shades of blue, green, violet – they’re all there, and they look amazing when brought together on a cool winter background. Dripping cakes. There’s something luxurious and decadent about a dripping wedding cake that makes it just perfect for a season of holiday, opulence, and elegance. Regardless of what colors or fillings you may choose for your dripping cake, one thing’s guaranteed: it will look so delicious people will be genuinely looking forward to grabbing a slice. Patterned bridesmaids’ dresses. Just because it’s winter outside, it doesn’t mean your bridesmaids can’t look blooming! Printed and patterned bridesmaids’ dresses are a pretty big trend in the wedding world right now and you have all the reasons to love it: it looks really unique, it adds a touch of liveliness, and it will definitely make your super-ladies feel happy with your choice. Capes. Looking to add just a little bit of mystery to your wedding look? You’re in luck, then, because capes are a huge trend this winter. They come in so many variations, fabrics, and lengths that it’s literally impossible not to find something you will absolutely love. Long and thick, short and lacy, colored or white, they’re everywhere – and they make for a truly amazing accessory to add to your bridal look. Remember that trends are there for inspiration. At the end of the day, you’re the only one who decides what to adopt or not on your wedding day. Be unique, add your own personality into the mix and you’ll be the happiest couple in the world!